Position the mouse on the faces to see the names of the participants. 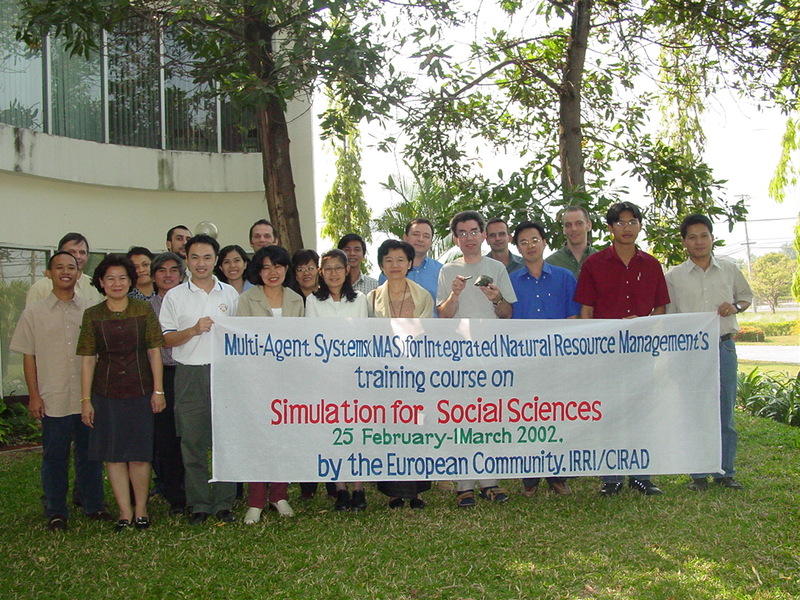 Methi Ekasingh, Chalermpol Samrapong (CMU), Piyasak Ontaworn, Sitanon Jesdapipat, Sakunchai Sakundit (Chulalongkorn University) are missing on this slide. To improve knowledge on techniques of developing simulations to help with the exploration and understanding of social and economic issues. The emphasis will be on the use of simulation for social sciences. It will provide a rationale for using simulation in the social sciences and outline a number of approaches to social simulation at a level of detail that would enable participants to understand the literature.